Here’s how to score this assessment. 10-12 yeses indicate this child has extremely strong empathic traits. 7-9 yeses indicates strong empathic traits. 4-6 yeses indicate moderate empathic traits. 1-3 yeses indicate some empathic traits. Zero yeses indicate that the child is not operating primarily as an empath. No matter where your child is on this spectrum, he or she would benefit from being taught to honor his or her specific sensitivities. 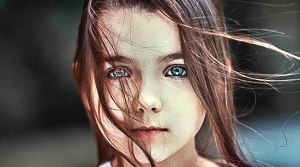 Indigo children have unique needs that require parents and teachers to change how they treat them. Being sensitive to their gifts will help them achieve balance in their lives and avoid frustration. Indigo children bring the promise of a higher consciousness and a way of perceiving what happens politically, socially, and economically. As empaths, they bring the possibility for a better world with more mutual understanding and harmony in our personal and global relationships. If you have such exceptional children, nurture their unique gifts.